It was a beautiful spring day this afternoon at PNC Park, where the Pittsburgh Pirates hosted the Cincinnati Reds in game three of this four game series. Pittsburgh took the first two games and were looking for a series win today. This was a back and forth contest from the beginning, but in the end the good guys would come away victorious. The Pirates jumped out to an early 1-0 lead in the first inning when Josh Bell hit a double to right center field that scored Jason Martin. That lead would last until the top of the third when Kyle Farmer hit a two-run home run and Yasiel Puig hit an RBI single for the Reds. The Buccos earned a run back in the bottom half of the inning on a Melky Cabrera groundout that plated Colin Moran. It has been a rough couple of days for the Pittsburgh Pirates and their fans. After blowing leads in both of their games with the St. Louis Cardinals, they also ran out of hot dog buns on dollar dog night. They would wash their hands and begin a four-game series with the Cincinnati Reds in front of a mostly empty PNC Park tonight. Those in attendance and watching at home got to see a pitcher’s duel for the majority of the night. 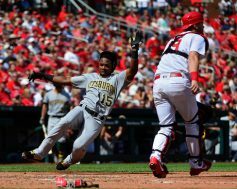 The Pittsburgh Pirates kicked off the home portion of their 2019 schedule this afternoon against the St. Louis Cardinals. While the weather may have been cold, the sunshine gave the fans at PNC Park the feeling that warmer days are nearby. Pittsburgh came in to today with a .500 record and looked to hand St. Louis their fifth loss on the young season. 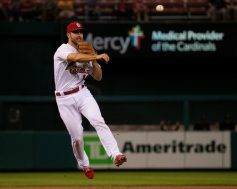 The Pirates offense jumped on Cardinals starter Adam Wainwright early with three runs in the first inning. Adam Frazier would be the first of those runs when he scored from third on a Josh Bell groundout. Colin Moran then brought home Starling Marte and Francisco Cervelli with a double to right field. Bell would add the fourth run of the game in the second inning with a sac fly to left that plated Marte. In his first start of the 2019 season, Trevor Williams picked up right where he left off last year – with a great performance on the mound. 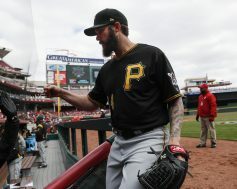 This afternoon at Great American Ballpark, though, he did it with his arm and his bat, leading the Pittsburgh Pirates to a 5-0 victory over the Cincinnati Reds. Williams earned his first win of the season today, giving up just three hits and one walk while striking out six batters in six innings of work. His mound opponent, Sonny Gray, struggled in his Reds’ debut. He lasted just 2.2 innings, giving up three runs (two earned) on five hits and four walks. 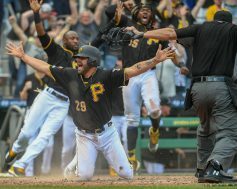 The Pittsburgh Pirates may not be headed to the postseason this year, but that doesn’t mean they can’t have a say in who reaches the playoffs. Today they would defeat the Milwaukee Brewers 3-2 and take two of the three games in this series. 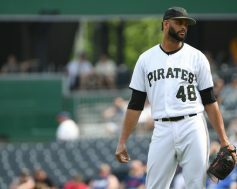 Milwaukee is in a battle with the Chicago Cubs and St. Louis Cardinals for the division and I’m sure they weren’t expecting Pittsburgh to hand them two losses over the weekend. 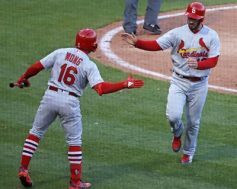 After scoring seven runs in an 8-7 loss to the St. Louis Cardinals last night, the Pittsburgh Pirates would manage five runs in a 11-5 loss tonight. Both bullpens were hit hard, but the Pittsburgh pen was smacked the hardest. The loss would also send the Pirates to a series loss with one game remaining. 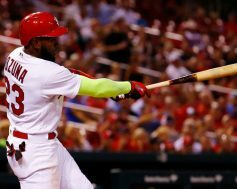 St. Louis jumped on the board early when Marcell Ozuna hit a two-run home run in the first inning. The Buccos would cut the lead in half during the fourth on a Corey Dickerson single to right center to score Josh Bell. The Cardinals plated two more runs in the sixth. 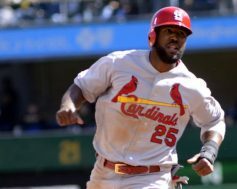 Matt Carpenter would score on a wild pitch, something Pittsburgh leads the league in, and then Jose Martinez scored on a Paul DeJong sac fly. 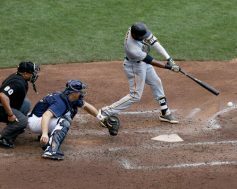 After a 5-0 home stand, the Pittsburgh Pirates hit the road for a crucial N.L. Central series against the St. Louis Cardinals at Busch Stadium. The Cardinals are in the heat of the wild card playoff race, and the Bucs would look nothing more than to play spoiler against their division rivals. As has been the case many times over the years, tonight’s game between the Pirates and Cardinals went back and forth, but the Cardinals used a clutch three run homerun to edge the Bucs by an 8-7 score. The Pittsburgh Pirates had a role reversal tonight after shutting out the St. Louis Cardinals last night. After a 2-0 victory to even this three-game series, they would lose tonight by the final of 5-0 and drop the series. Pittsburgh appears to be coasting to the finish of the 2018 season, which makes it even more painful for the fan base. 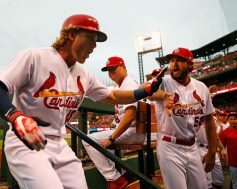 Trouble started for the Pirates in the third inning when Harrison Bader and John Gant hit back to back solo home runs for St. Louis. Did you know that Gant was the Cardinals starting pitcher tonight? Makes it just a little bit more painful. St. Louis would add another run in the fourth when Paul DeJong hit into a fielder’s choice. The final two runs of the game came in the fifth when Jose Martinez plated two runs with a single to left.